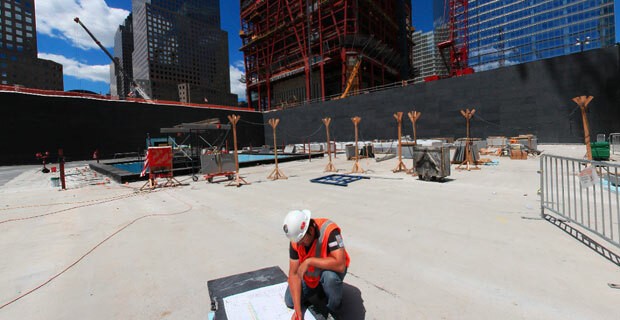 As construction at the World Trade Center site continues, the semblance of one recognizable landmark at Ground Zero is near completion. The New York Times has launched their panoramic view within the Memorial Pools — which will mark the footprints of the original Twin Towers. Check out the interactive piece at NYTimes.com.